The pizza was overall a good effort. Ingredients were fresh and then flavours complemented each other well. 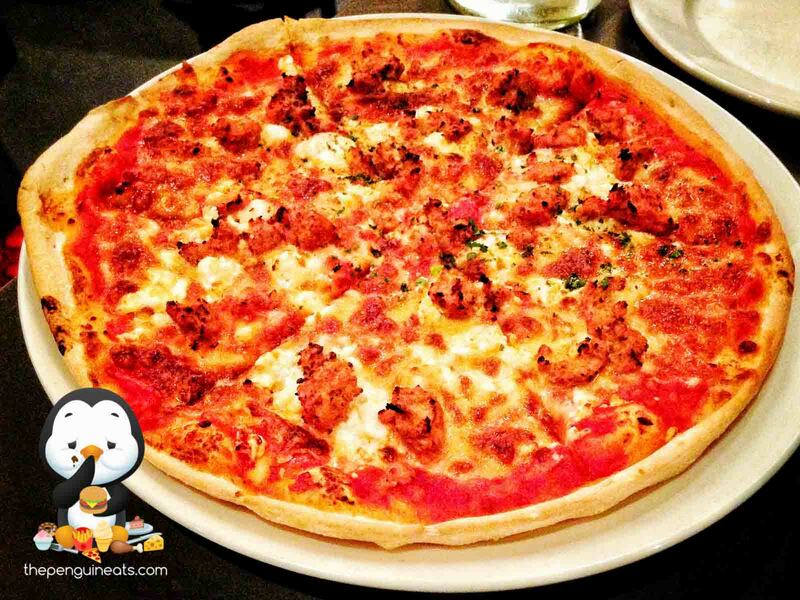 Special mention for the goat’s cheese which really brought out the flavours of the pizza. 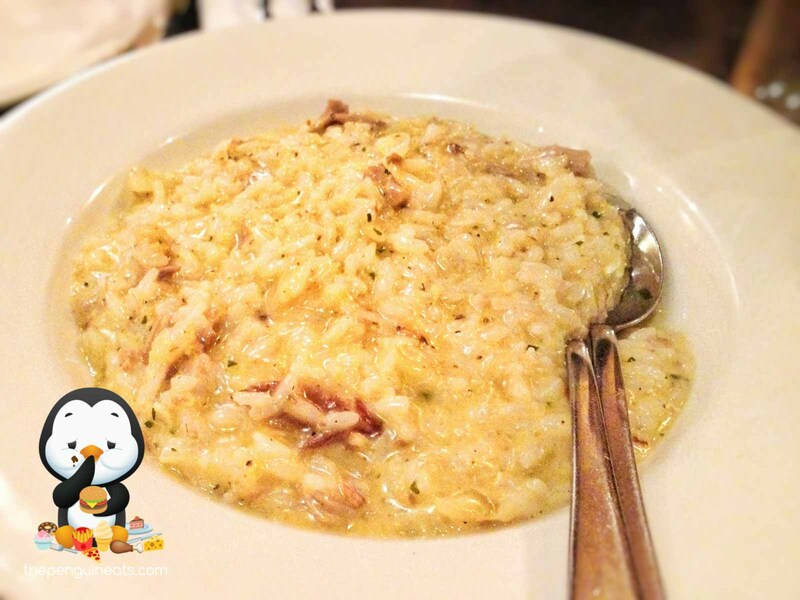 The risotto was not bad, with the Aborio rice cooked just right and contained strong flavours from the broth. The toppings on the pizza was definitely on the light side. This is most apparent when you observe the size of those so-called “meatballs”. Portion sizes were definitely on the small size, both the pizza and the risotto. While the quality was there, quantity certainly wasn’t and we left still hungry. Overall an okay meal with semi-decent food. Don’t be fooled into thinking this is authentic Italian because it certainly isn’t. Maybe. There was definitely nothing too notable that would bring me back in a hurry.